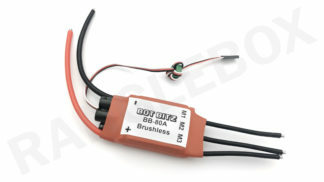 View cart “Botbitz – 30a Brushless ESC (SimonK)” has been added to your cart. 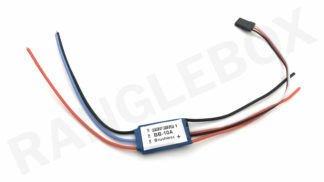 Ranglebox is the official UK/EU supplier for Botbitz, an Australian robotics parts company. 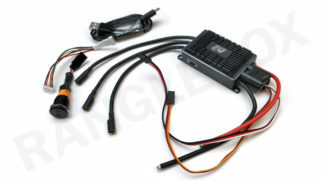 This is their mid-size brushless electronic speed controller (ESC), capable of flowing an impressive 30 amps. 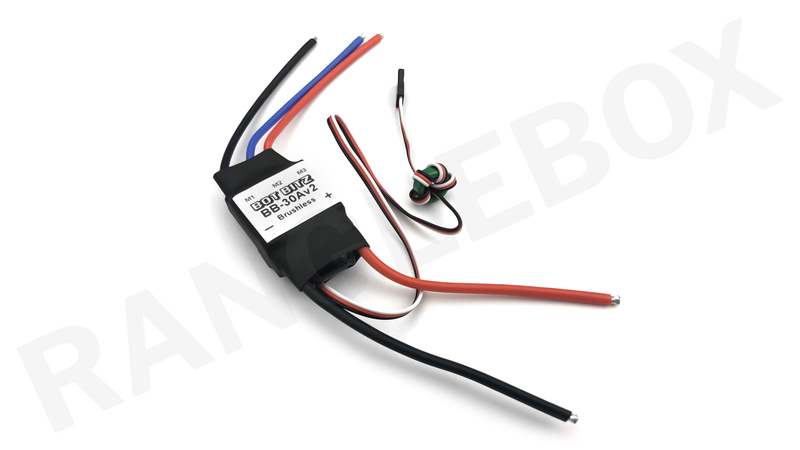 The Botbitz 30a Brushless ESC runs custom firmware to achieve rapid direction changing, increased startup torque and high strength braking. Ranglebox collaborated with Botbitz to tune their code based on our own experience, providing the very best fine level control. 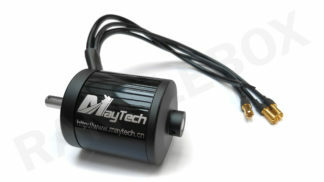 This makes it very suitable for drive applications in demanding robotics projects. With their slim and lightweight design they are an excellent choice for high performance brushless motor control, at an affordable price! These ESCs are the ultimate in plug-and-play. In keeping with all modern hobby RC gear: The red and black 14awg wires are the ESC’s power-in, the other three 16awg wires are the ESC’s output. 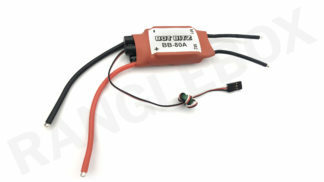 The small three pin connector (standard Futaba plug) is the radio control input which plugs into your radio set’s receiver. Be sure to connect the radio and power inputs in the correct polarity; reverse polarity may irreversibly damage your ESC and surrounding electronics.